Woe to those who call evil good, and good evil; Who put darkness for light, and light for darkness; Who put bitter for sweet, and sweet for bitter! Woe to those who are wise in their own eyes, And prudent in their own sight! (Isaiah 5:20‭-‬21 NKJV). “For what I am doing, I do not understand. For what I will to do, that I do not practice; but what I hate, that I do. If, then, I do what I will not to do, I agree with the law that it is good. But now, it is no longer I who do it, but sin that dwells in me. For I know that in me (that is, in my flesh) nothing good dwells; for to will is present with me, but how to perform what is good I do not find. For the good that I will to do, I do not do; but the evil I will not to do, that I practice. 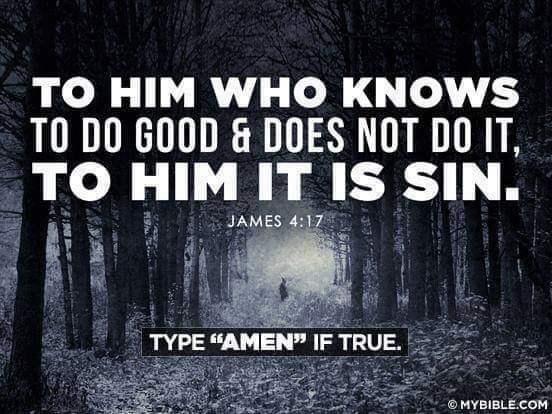 Now if I do what I will not to do, it is no longer I who do it, but sin that dwells in me. I find then a law, that evil is present with me, the one who wills to do good. For I delight in the law of God according to the inward man. But I see another law in my members, warring against the law of my mind, and bringing me into captivity to the law of sin which is in my members. O wretched man that I am! Who will deliver me from this body of death? I thank God—through Jesus Christ our Lord! So then, with the mind I myself serve the law of God, but with the flesh the law of sin”. (Romans 7:15‭-‬25 NKJV). “Do not be deceived, God is not mocked; for whatever a man sows, that he will also reap. For he who sows to his flesh will of the flesh reap corruption, but he who sows to the Spirit will of the Spirit reap everlasting life. And let us not grow weary while doing good, for in due season we shall reap if we do not lose heart. Therefore, as we have opportunity, let us do good to all, especially to those who are of the household of faith”. (Galatians 6:7‭-‬10 NKJV). “I say then: Walk in the Spirit, and you shall not fulfill the lust of the flesh. For the flesh lusts against the Spirit, and the Spirit against the flesh; and these are contrary to one another, so that you do not do the things that you wish. But if you are led by the Spirit, you are not under the law. 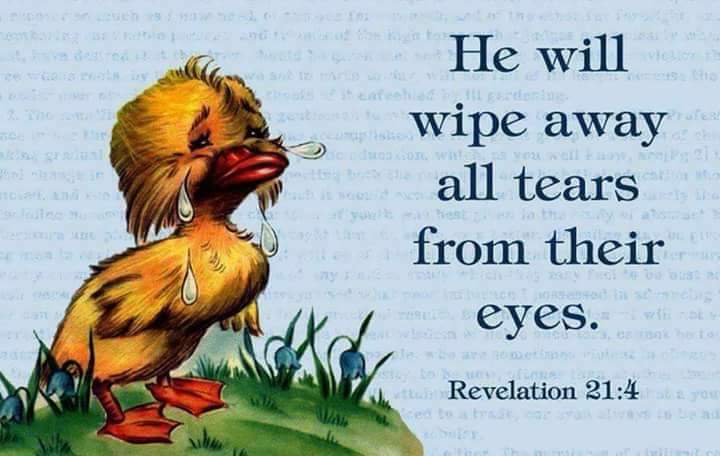 Now the works of the flesh are evident, which are: adultery, fornication, uncleanness, lewdness, idolatry, sorcery, hatred, contentions, jealousies, outbursts of wrath, selfish ambitions, dissensions, heresies, envy, murders, drunkenness, revelries, and the like; of which I tell you beforehand, just as I also told you in time past, that those who practice such things will not inherit the kingdom of God. But the fruit of the Spirit is love, joy, peace, longsuffering, kindness, goodness, faithfulness, gentleness, self-control. Against such there is no law. And those who are Christ’s have crucified the flesh with its passions and desires. If we live in the Spirit, let us also walk in the Spirit”. (Galatians 5:16‭-‬25 NKJV). +Love and Forgiveness is always better than vengeance and revenge. This is well pleasing unto God. +Love is always greater than anger. Give love and forgive with Faith in God because God is Love and Love never fails. +Love in you is God in you because God is Love. “But the hour is coming, and now is, when the true worshipers will worship the Father in spirit and truth; for the Father is seeking such to worship Him. God is Spirit, and those who worship Him must worship in spirit and truth.”(John 4:23‭-‬24 NKJV). Psalm 5:3- My voice shalt thou hear in the morning, O Lord; in the morning will I direct my prayer 🙏🏽 unto thee, and will look 👀 up. Psalm 95: 7(d)-Today if ye will hear his voice. Psalm 103:20(e)-hearkening unto the voice of his word. Revelation 3:2-Behold, I stand at the door, and knock: if any man hear my voice, and open the door 🚪 , I will come in to him, and will sup with him, and he with me. -FAITH in God is the assurance (the confirmation, the title deed or ownership papers) of the things we trusting in God for. 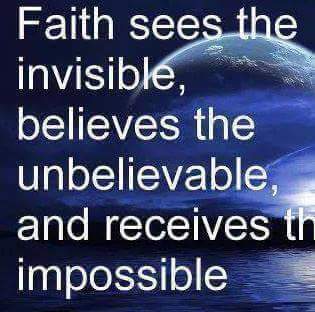 -Faith in God is the proof that we have the things we do not see and being fully convinced of their reality. -Faith in God,is to foreknow and accept as real fact the promises of God that are not yet manifested or revealed to the senses. -Faith in God calls those things that are not as though they were. -I didn’t say faith call those things that are as though they are not, (this is against scripture). -Example: If a man is sick. His confession of faith shouldn’t be, “I’m not sick. I’m not sick.” His confession of faith should be, “I’m healed. I’m healed ” thus calling the things that are not as though they were. -Continue to keep your faith in the Lord,and Stand on the Word in Faith. •Contine to let the WORD of God be the standard for your life. Always LOVING others like Christ Jesus loves us while keeping our faith, trust and confidence in Him. 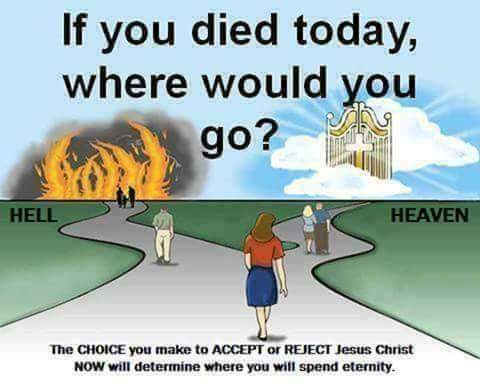 ““See, I have set before you today life and good, death and evil, in that I command you today to love the Lord your God, to walk in His ways, and to keep His commandments, His statutes, and His judgments, that you may live and multiply; and the Lord your God will bless you in the land which you go to possess. 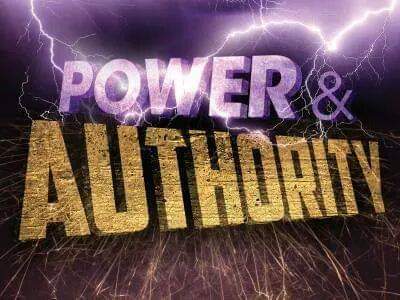 But if your heart turns away so that you do not hear, and are drawn away, and worship other gods and serve them, I announce to you today that you shall surely perish; you shall not prolong your days in the land which you cross over the Jordan to go in and possess. I call heaven and earth as witnesses today against you, that I have set before you life and death, blessing and cursing; therefore choose life, that both you and your descendants may live; that you may love the Lord your God, that you may obey His voice, and that you may cling to Him, for He is your life and the length of your days; and that you may dwell in the land which the Lord swore to your fathers, to Abraham, Isaac, and Jacob, to give them.”(Deuteronomy 30:15‭-‬20 NKJV). + Let nothing stop you from doing what you know God wants you to do. +Always do the WILL of God from your heart in LOVE and FAITH no matter you feel. +Your test may be great, but your FAITH is GREATER. You may not feel strong, but God In is your STRENGTH. +God’s Love is in you. The Faith of the Son of God is in you and God is the Strength of your life. +You are MORE THAN CONQUEROR through Christ Jesus, and you are BLESSED above measure. “The thief does not come except to steal, and to kill, and to destroy. I have come that they may have life, and that they may have it more abundantly. “I am the good shepherd. The good shepherd gives His life for the sheep. But a hireling, he who is not the shepherd, one who does not own the sheep, sees the wolf coming and leaves the sheep and flees; and the wolf catches the sheep and scatters them. The hireling flees because he is a hireling and does not care about the sheep. I am the good shepherd; and I know My sheep, and am known by My own. As the Father knows Me, even so I know the Father; and I lay down My life for the sheep. And other sheep I have which are not of this fold; them also I must bring, and they will hear My voice; and there will be one flock and one shepherd”. (John 10:10‭-‬16 NKJV). “‘For thus says the Lord God : “Indeed I Myself will search for My sheep and seek them out. As a shepherd seeks out his flock on the day he is among his scattered sheep, so will I seek out My sheep and deliver them from all the places where they were scattered on a cloudy and dark day. And I will bring them out from the peoples and gather them from the countries, and will bring them to their own land; I will feed them on the mountains of Israel, in the valleys and in all the inhabited places of the country. I will feed them in good pasture, and their fold shall be on the high mountains of Israel. There they shall lie down in a good fold and feed in rich pasture on the mountains of Israel. I will feed My flock, and I will make them lie down,” says the Lord God “. (Ezekiel 34:11‭-‬15 NKJV).